It’s actually really simple, but the kids might need a little help. Make sure urge to have your workspace covered, and be prepared to sweep! Spread a layer of birdseed in your tray, maybe 1/4″ deep. 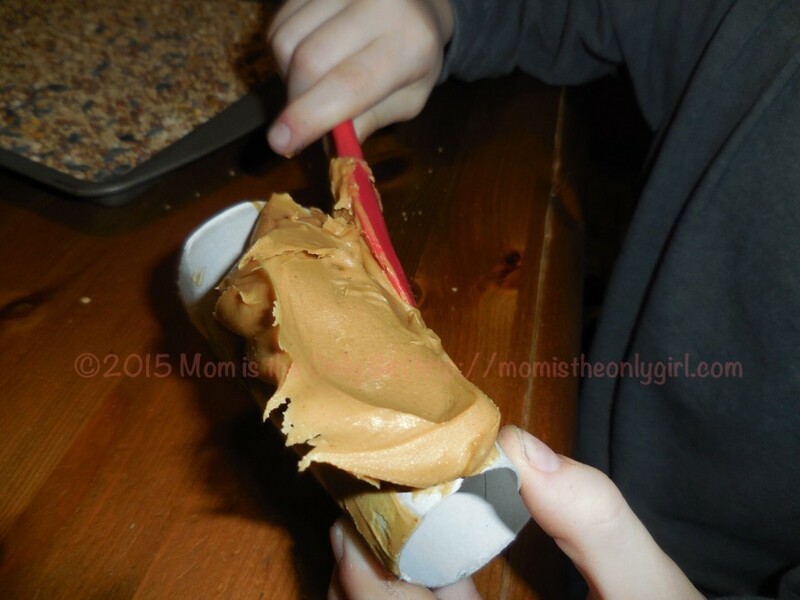 Take your empty TP rolls and peanut butter and spread a layer of peanut butter all over the outer surface. You want this to be thick enough for the birdseed to stick. 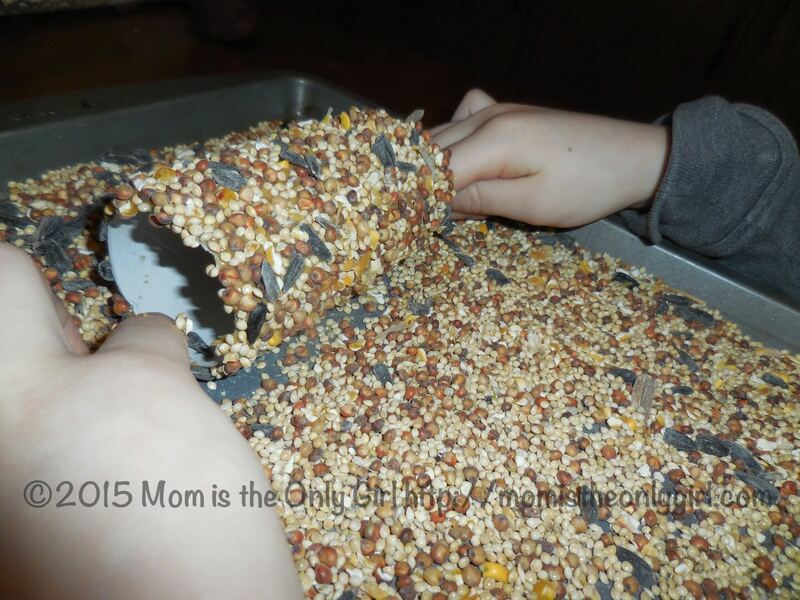 Roll the covered toilet paper roll in the birdseed. Once it’s covered as well as can be, stand it up on end. Take your yarn or string and thread it through the roll, carefully picking it up by sticking a few fingers in the hole and spreading them apart (at least, that’s the method we used). Make sure your yarn is long enough to loop through the toilet paper roll and tie around a branch. 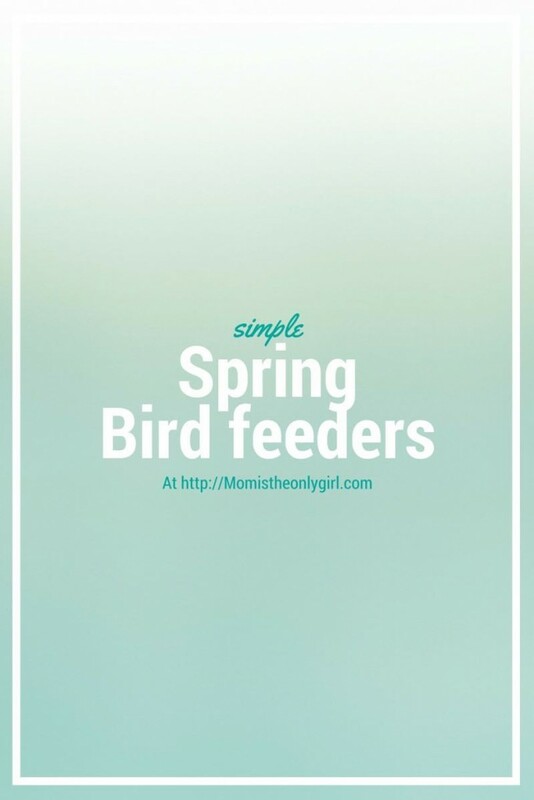 Hang your bird feeder outside, preferably in a spot with little foot traffic, but maybe near a window so you can watch the birds quietly from inside! If you haven’t heard of Tom T. Hall, check his songs out! (not affiliate links) Simple, kid-friendly songs from the album Country Songs for Children have been playing in our cars since my kids were born. Tom T. Hall is an American country music songwriter, singer, novelist and short story writer nicknamed “The Storyteller” (because he used his storytelling skills in his songwriting). He wrote songs for country stars like Johnny Cash, Loretta Lynn, Waylon Jennings and Alan Jackson to name a few. You may have heard one he wrote, called Harper Valley PTA. He also wrote and recorded childrens’ songs like Sneaky Snake, I care and more. (You can stream partial songs at Rhapsody.com (not an affiliate link) and then purchase at Amazon.com very inexpensively. What a fun idea! Might have to make these with our niece & nephew when we visit them next month. I hope they will have fun making them with you! And I hope there are more birds and no snow by then, too! Oh the deck is a much better idea! I’m still finding birdseed! I hope you enjoy making them! I will have to do this with my 4 year old! He would love it. I saw another cute idea in a magazine the other day using milk cartons and decorating them. You cut out the middle so you can see through and put seed there and hang it on a window! I saw the milk-carton idea recently too (same magazine?!) And have that on our ‘things to do this summer’ list! 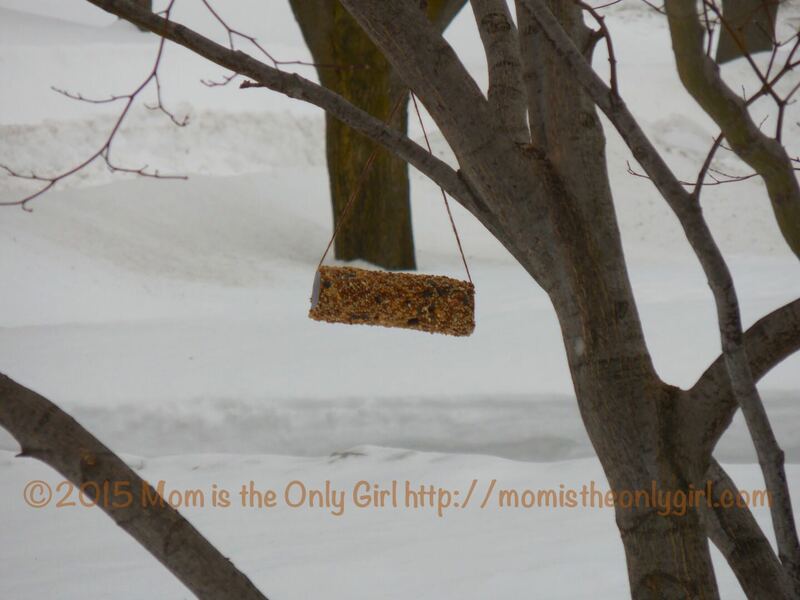 My boys were telling me they have clear bird feeders on their windows at school – how cool! But Pinterest is so cool! You must get different birds than East coast, right? You’ll have to tell me if it works for you! My youngest will think this is an awesome idea! I pinned it to my “For the Kids” board! My kids definitely had fun making these – we made four! I figure even if the birds never come to eat, at least my boys had fun! Our back yard is full of all kinds of seedy plants and the birds love us! If we ever get a decent winter again in Central WA, I will surely look into building a cool bird feeder like that. Right now a couple of little birds are building a nest right outside our front room window in an old windmill. Isn’t that TOO cool!?! I love watching the birds build their nests…so intricate! Something I could never do as well with two hands and they only use their beaks! Crazy! I can’t wait for the birds to return in numbers here! We used to make these with the preschool kids at the daycare – such fun! 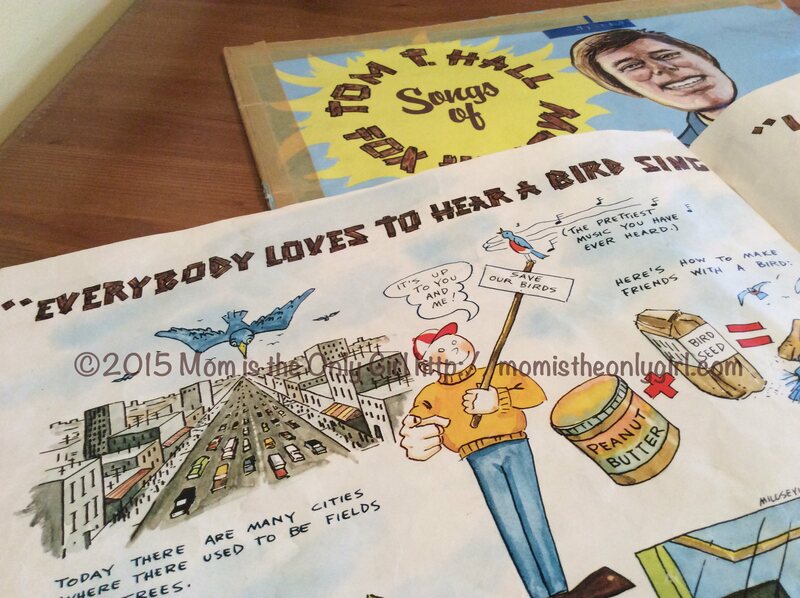 Also, I grew up listening to Tom T. Hall – “Watermelon Wine”, “I like Beer” and “I Love” were some of my favorites! I’m so glad someone else listened to Tom T. Hall! My favorite is “I Love”! Thank you, Trish … (and Tom).